The team is jet-setting again! 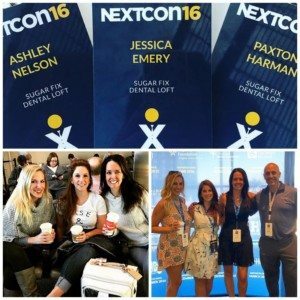 The Sugar Fix Squad was back to Scottsdale, AZ to dive in the business world that is the NextCon 2016 conference! During this three day convention, our team listened to a multitude of speakers, ranging from Apple’s co-founder to the brand marketer for Google. The main focuses of the Next Con seminar was focusing on how important customer service is, how to stay on top of new innovations in technology, and marketing for your audience. All of these components are very important to Dr. Emery and her Sugar Fix team. We always want the very best for our guests. We heard many pearls from the best in the industry that we will be implementing at Sugar Fix from now on to go above and beyond for our patients! As far as technology goes, simplicity is key! Everyone now wants easy and user friendly companies, at Sugar Fix, we always do our best to cater to each guest and his or her specific needs, making it easy to communicate with us at all times. Sugar Fix takes Next Con 2016! As everyone knows, marketing is Dr. Emery’s absolute favorite!! These were the most exciting classes to go to and to see all the new advances in marketing. The main topic of conversation was always highlighting the importance of video and we know that is Dr. Emery’s favorite too! Each of these speakers gave Dr. Emery and our team fresh ideas and new thoughts to implement into our office. Always striving to stay on top of our game and continuously making the practice better than the day before has always been a main goal of Sugar Fix Dental Loft. Thank you NextCon! 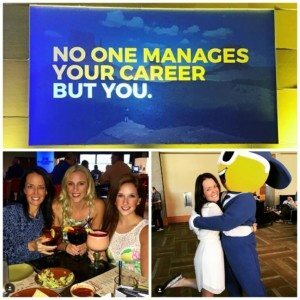 Our jetsetting Dr. Emery is now spending time in Ft. Lauderdale reflecting on our NextCon seminar as well as brainstorming her new marketing strategies to wrap up this year as well as 2017!